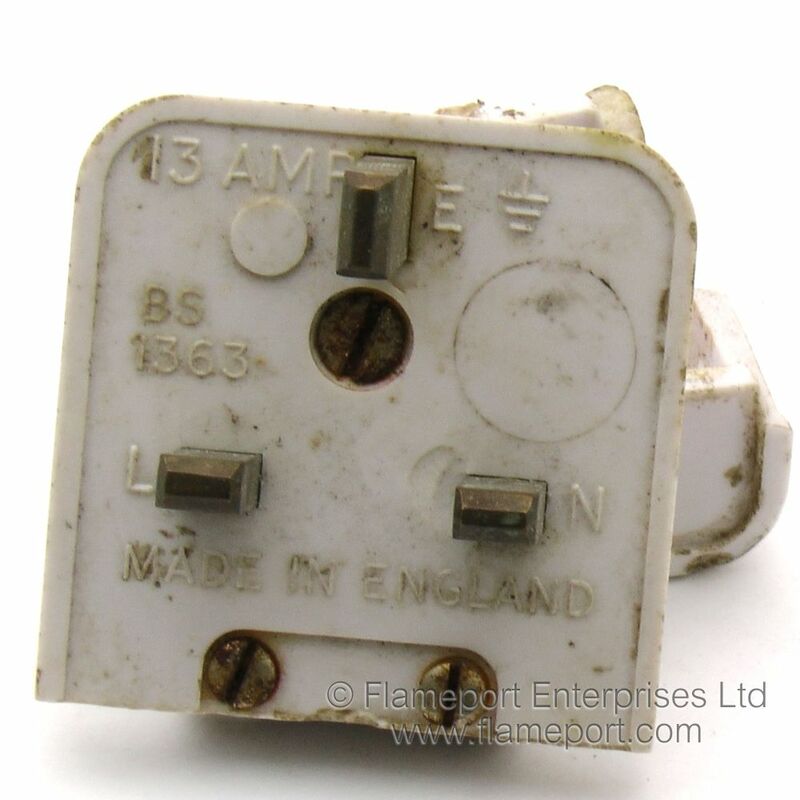 A somewhat damaged example of an Ever Ready 13A plug. 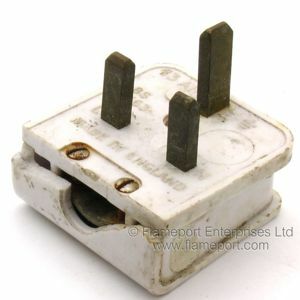 A rather poor example of an Ever Ready plug. 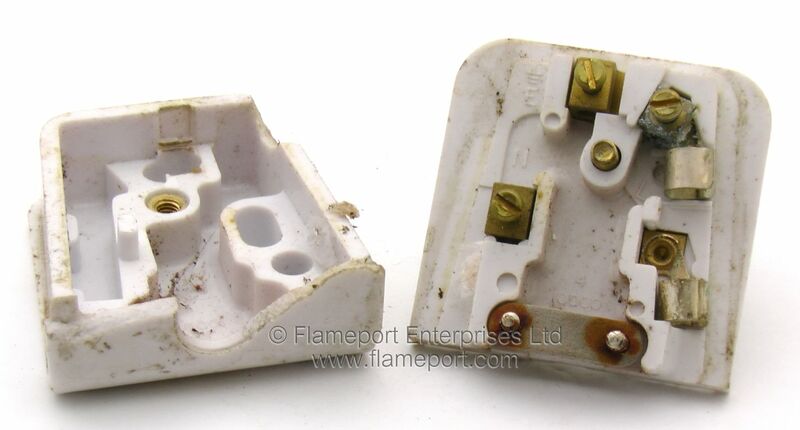 This one has several broken parts, grease all over it and a splodge of paint on the side. The lid has the wording 'FUSED EVER READY'. 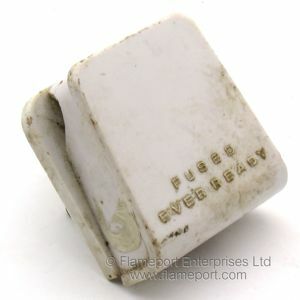 Pins are unsleeved, and this plug should not be used due to the various pieces which have been broken off from the edges. The three terminals are positioned so that the wire for each is the same length - perhaps making it easier to prepare the flex before connection. The fuse is missing, and rust stains can be seen on the flex grip around the screws. The lid is broken in three places, probably from being dropped on the floor. The rusty screw in the centre secures the lid, the smaller screws are for the flex grip. 13 AMP, BS 1363, MADE IN ENGLAND. Pins are identified with L N E and the earth symbol.